Just being your best you! I Can Create Your Website! Should You Use Wix For Your Blog? We’re also going to talk about whether or not you should use Wix for your business website. This post is going to focus on comparing Wix and WordPress. I’ve used both Wix and WordPress for building blogs and websites, so I’ll give you my honest and informed opinion on the matter! If you’re starting a blog and are willing to dedicate time and effort to learning how to create a website, you should choose WordPress because it will offer more flexibility in the long run. If you know there’s no way you can dedicate that time, choose Wix because you can achieve an attractive and effective blog much more quickly. If you’re a small business owner and don’t have the resources (time/money) to build a top WordPress site, go with Wix. If you have time, or can hire a developer, choose WordPress because it offers more flexibility. Already decided that you want to use WordPress to create your blog? 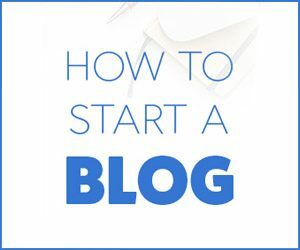 Head on over to this step by step guide to starting your own blog or website. If you’re still undecided, stick with it and you should have an answer to the question ‘should I use Wix for my blog?’ very soon! As you’ll see, these categories overlap in some areas. 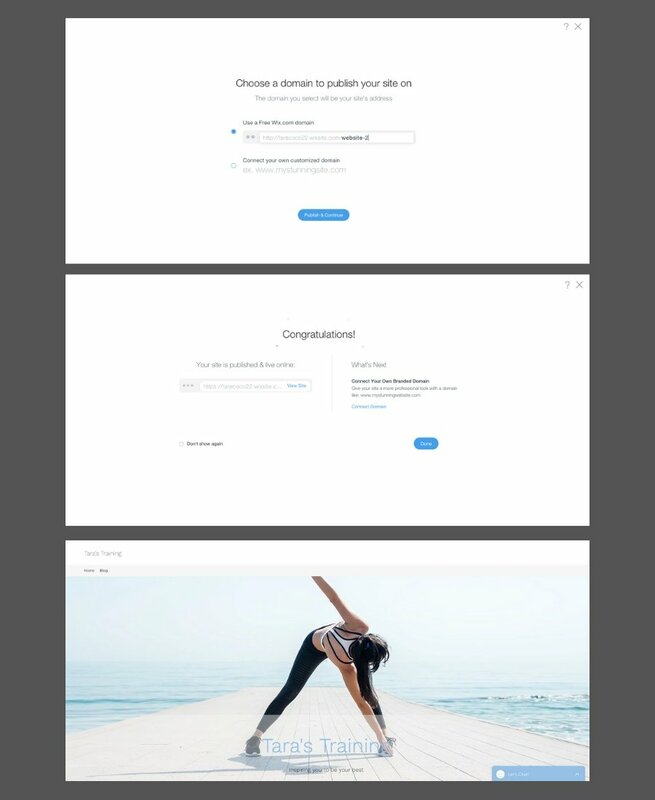 I’m also going to show you some nice screenshots of me building a blog on Wix, so that you can get an idea of how easy it is. This page uses affiliate links, which means that (at no additional cost to you) I earn a small referral fee if you purchase a product. Thank you! It’s a good idea to read all the way to the end of this post before making up your mind. You may think that the best choice for you is clear pretty quickly, but it’s important to have all of the information before you commit! How easy is it to set up a blog or Website with Wix vs WordPress? The short answer is that you can set up a blog or website much more quickly and easily on Wix than on WordPress. When I created my first blog on WordPress, I found the learning curve very steep and I found the process of learning very time consuming. That said, it probably would have been less so if I’d had a step by step guide! On the other hand, when I first build a website on Wix, I couldn’t believe how quick and easy it was. BUT, despite that, I’m glad that I chose WordPress for that first blog. That’s because, although there was a lot of learning to do, I think it was well worth it. For example, I’ve used WordPress plugins to create a simple affiliate shop on my blog, and to create ‘roundup’ feature like the one at the bottom ofthis post. A plugin is just like a bit of ‘add-on’ software that you insert into your WordPress site to extend functionality or add new features. I couldn’t have replicated those features exactly on Wix – although to be fair Wix are introducing more and more features all the time. I also love the themes I’ve used on my WordPress sites (like the homepage on Slightly Sorted, or on this site and this one). A theme is just like a template that determines the look and style of your website. 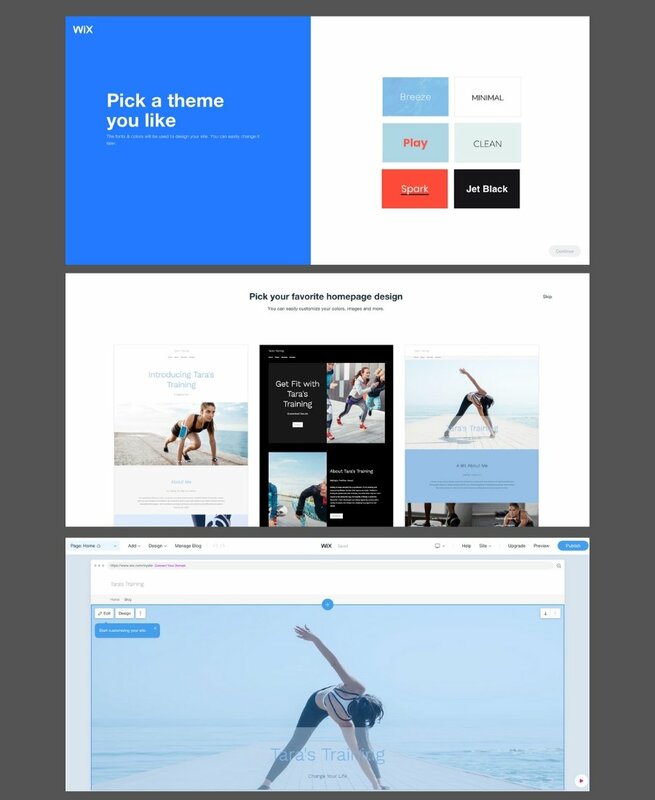 But Wix offer some stunning themes too, and I think some of the layouts they offer for business websites in particular are amazing. 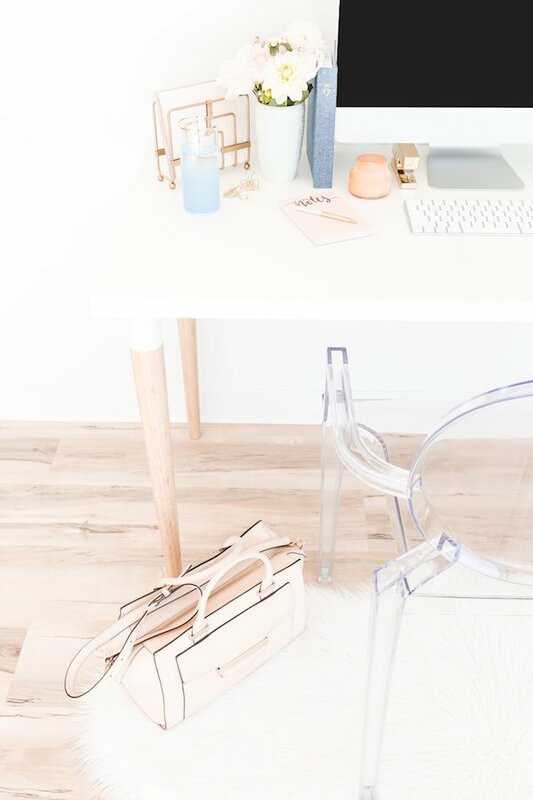 So it really comes down to the time you have available to set up your blog or website, and how much time you’re able to dedicate to learning how to use it. To give you an idea of how quickly you can set up a blog or website on Wix, I’ve created one from scratch for you. I’ve taken screenshots along the way, and time stamped them for you. How long does it take to set up a website on Wix? Here’s a walk-through of the process of setting up your own blog or website on Wix, just so that you can see how quick and easy it is. Now, this is just a bit of fun. In ‘real life’ I would spend more time on writing good copy for SEO and putting on some personal photos. First off, I go to wix.com and select ‘create new site’ under the ‘my sites’ tab. I already have my Wix account set up, so if you don’t you’ll have to enter your details to do that – it’s very quick and easy. I choose ‘Beauty and Wellness’ because I’m going to create a mock ‘personal trainer’ website. 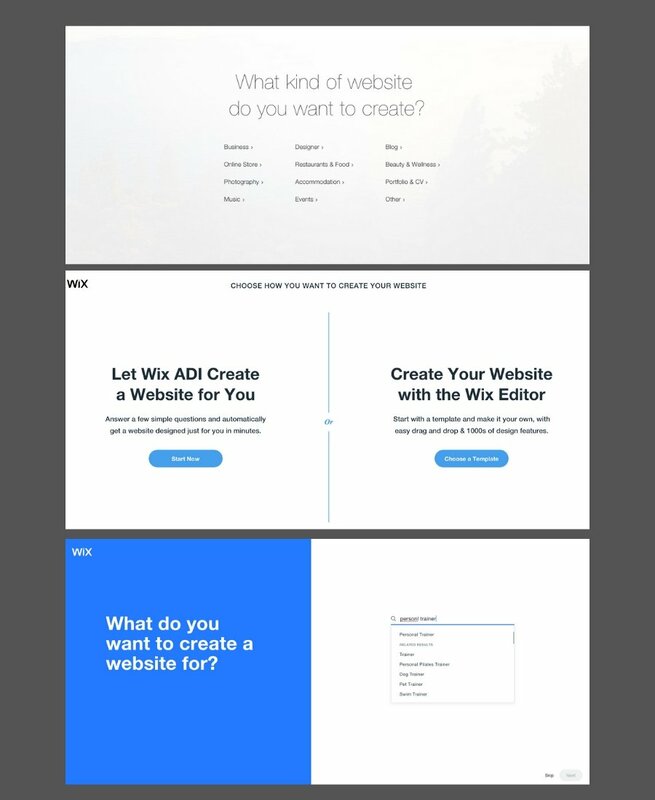 Once you’ve selected what type of site you want to create, Wix asks you if you’d like to use Wix ADI or the Wix editor. Wix ADI stands for Artificial Design Intelligence, and is the option you should choose if you want to create a blog or website very quickly and with minimal effort. Some people worry that using this option will result in a kind of ‘cut and paste’ website that’s not unique in any way. That absolutely does not have to be the case! As well as giving you lots of different options on the design and content, you also have the power to drag and drop parts of your webpages, and insert and remove sections as you wish. When you put that together with unique photos and content, you can create a really personal customized website. That said, if you prefer to use the Wix Editor you can select a template from hundreds that are available, and customize it till your heart’s content! 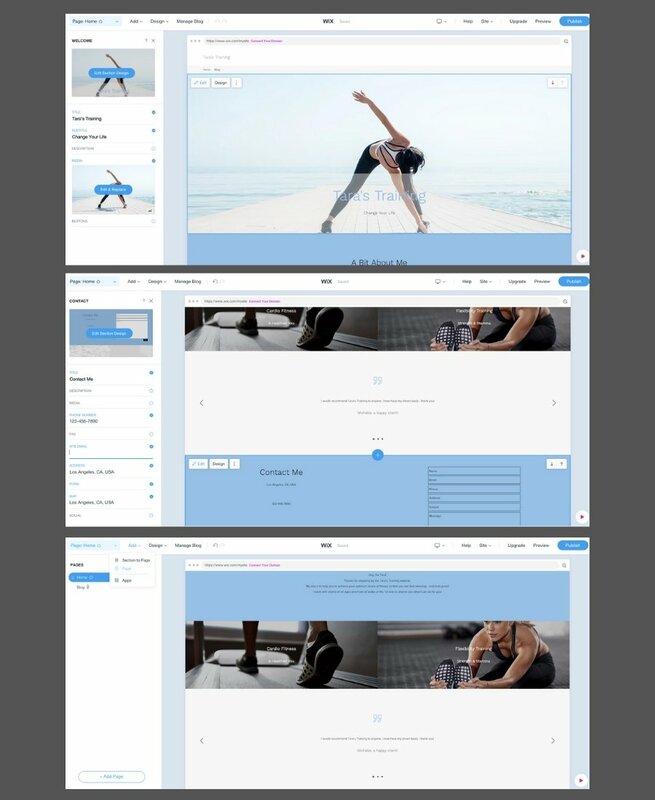 After selecting ‘ADI’, Wix asks for more detail on the site and I search on ‘personal trainer’ (actually on ‘personl trainer’, but fortunately it knows what I mean), and move on. Wix asks me whether I need to include an online store, a bookings form, a subscriptions feature, or a blog. There are also more additional features available that you can choose further down the line. For now, I select blog (tip – if you’re creating a small business website, including a blog section is a great way to improve your SEO). I call my fictional personal training business ‘Tara’s Training’ and decide that I’m located in LA. The doorbell goes so I lose a couple of minutes (grrr! ), but let’s continue nonetheless! Wix asks me what ‘theme’ I would like and I decide to go with ‘breeze’ for a light airy feel. Then I choose my homepage design from the three options it gives me, and we can really get started! By the way, if you wanted to go for a more ‘blog’ style homepage, you would have just selected ‘blog’ right at the beginning when asked what kind of website you wanted to create. It’s now 12:32, and I’m ready to start editing my website. 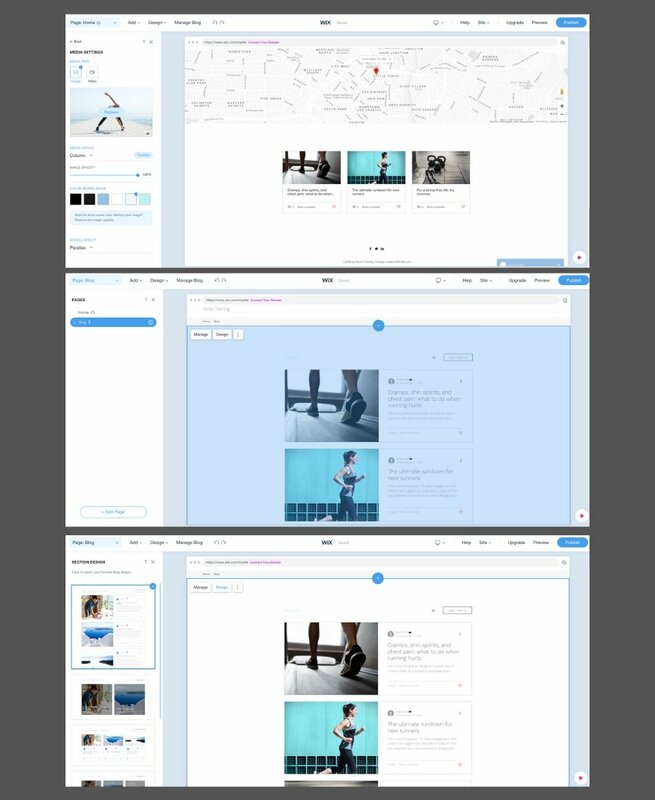 You can see how the editing column comes up on the left of the screen (above), and in the main view you can see exactly how your website looks as you make changes. I adjust the text in places, simply by clicking on the relevant areas and typing in my changes. In the third screenshot above, you can see how you can add additional pages – which I would do if I were doing this for real. 12:39 and I’m ready to start adding some different photos. To do this you literally just click on the photo area and bring up the free photos that are included in Wix. I’ve included the middle screenshot just to show you some of the lovely bright images that are available! You can also upload your own personal photos, or upload additional free stock photos from elsewhere. I select a new photo from the Wix database for my main homepage image. Then a few seconds later I hit the ‘undo’ button because I think the original image looks better! You can see in the first screenshot above that several of the blog posts are displayed at the bottom of my new homepage. I decide to leave them there, and move on to the blog editing screens. Here, you can see how I could write and edit the actual posts, as well as choose a new layout for my main blog roll. I leave all that for now – obviously if I actually write the blog posts now this is going to take a lot longer! At 12:46 I hit publish! Wix then asks me to choose my domain name. As you can see, I can still get a live website even if I don’t sign up for one of the paid plans, but the domain name is no good for a professional blog or website. For the purposes of this demonstration though, it’ll do just fine! We’ll talk more about how much getting your proper domain name costs in just a moment. So, at 12:49, I have a stylish and functional website published on line. I’ll leave the website live for now so that you can take a look at it. Bear in mind that this is just for a fun demo and you’d obviously want to put much more effort into your own website, but I hope this helps you to see how quick and easy Wix can be to use! In my opinion, there is absolutely no way that a beginner could set up an equivalent website from scratch in WordPress in that amount of time. And it really was extremely easy. So I think it’s fair to say that it is much quicker and easier for a beginner to set up a website on Wix, rather than on WordPress. But there’s more than that to think about before you take your final decision! What is the cost involved in setting up a blog or website with Wix vs WordPress? Let’s move on to the all important issue of money. Is it cheaper to set up your blog or website with Wix, or with WordPress? The answer is… not straightforward! But I’ll try to make it as simple as possible. First of all, as we’ve seen, you can create a lovely blog or website for free on Wix. BUT you get a crappy domain name, which is no good if you’re a professional business person, or you’re serious about blogging. If you want to get a decent domain name for your Wix website, you need to invest in one of their paid plans. The Wix ‘connect domain’ plan is only $5 a month, but you have to buy your domain name separately, and your site will have Wix ads displayed on it. However, if you go a level up to the Wix ‘combo’ plan you get a free domain name for a year and all ads removed. 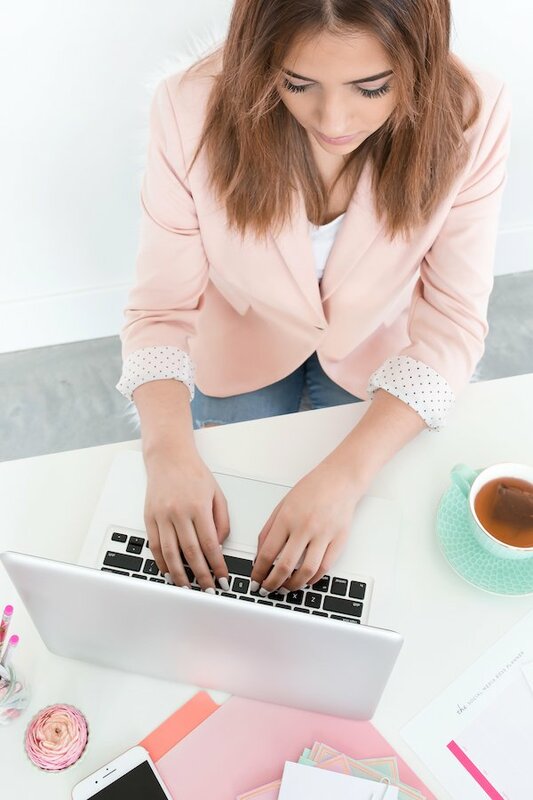 This is the plan I’d recommend for starting your blog or website – you can always upgrade to one of the higher level plans at a later date if you really want to. The combo plan costs $10/month if you go for the annual plan. Alternatively it’s $9/month for the two year plan, or $14/month if you pay monthly. So you get better value if you commit to a longer time period. It’s worth noting that if you’re going to want to run an on-line store, you’ll need to go for the eCommerce plan which is $17/month on the annual plan. My recommendation is to start of on the combo plan and take it from there. If you’re planning on running a standard blog or business website, it’s likely to give you everything you need. So based on that let’s say that your Wix website will cost you $120 for your first year. How does that compare to the cost of setting up your blog or website on WordPress? Let’s say you follow the steps in my step by step guide to setting up your own blog. In that case, you’ll get your hosting with bluehost for $3.95/month for the first year, that’s $47.40. You’ll get your domain name included for the first year, so you don’t have to pay for that. 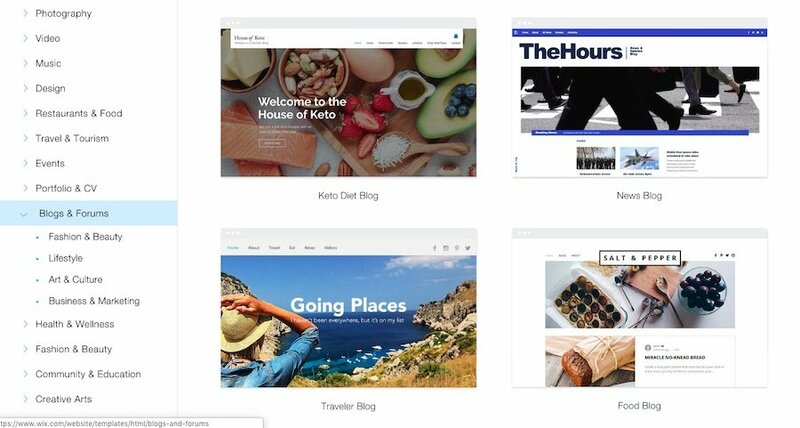 Although you don’t have to, I highly recommend purchasing a premium WordPress theme to make your blog or website look professional and stylish. The ones I recommend come in at around $60. And finally lets say that you purchase one premium plug in in your first year. The vast majority of the plugins that I use are free, but I recently purchased one for creating my own affiliate shop that I love. It cost around $35, so we’ll use that for this example. That would take the cost of your WordPress website to $142 for your first year. Almost all hosting companies who offer low-priced hosting in the first year will increase your premiums after that, and you’ll also have to pay for your domain name renewal which is likely to cost somewhere around $15. However, in the second year you won’t be paying for a premium theme as that’s a one-off cost. So, depending on how much your hosting company charges in your second year, the cost is likely to remain pretty much the same. That’s assuming that you don’t decide to start paying for premium stock photography or expensive plugins – but we’ll assume for now that you don’t. Your costs are also likely to remain fairly static on Wix, unless you decide to upgrade your plan. So, either way, you’re probably looking at $120-$150 a year if you want a professional and effective blog or website. You can pay less on either platform… but sometimes it’s worth remembering that you get what you pay for! How easy it is to maintain a blog or website with Wix vs WordPress? So now that you’ve created an amazing blog or website, you’re going to have to maintain it. Is it easier to run a website on Wix or WordPress? The answer is (in my opinion), Wix. However once again that doesn’t necessarily mean that I think Wix is the better option for your blog or website – so read on! There are two main aspects of maintaining your blog or website. The first is writing your posts and pages and actually building up the site. The second is doing what’s necessary to ensure your site is secure and runs smoothly. The first part – writing your posts and pages – is easier on Wix for beginners because the editing screen shows exactly how the ‘finished article’ will look. So there’s no guess work involved. Go back to the screenshots at the beginning if you need a quick reminder of what those screens look like. If you want to see what the editing screens look like in WordPress, take a quick look at this post on how to write posts and pages in WordPress. 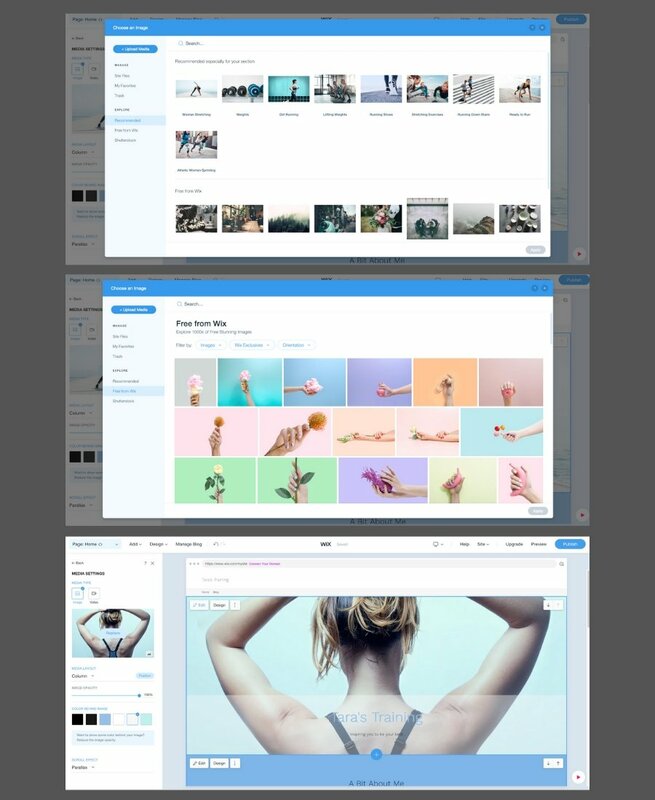 You’ll see that the screen you’re writing on bears little resemblance to how your website actually looks. However, although that might seem intimidating initially, I’d encourage you not to let this particular ‘disadvantage’ put you off WordPress. You really do get used to it incredibly quickly, and you can easily just hit ‘preview’ to see how your site looks as you go along. The second part of maintaining your website involves making sure that everything is secure and up to date so that your website runs well. As you probably know by now, in WordPress you use plugins to add functionality to your blog or website. There are thousands of plugins available, created by thousands of different developers for use on WordPress. On this blog, I have plugins to discourage spam, help with SEO, enable an affiliate shop, and help with running ads. To keep my website running well, I have to make sure that all of those plugins are up to date and compatible with the latest version of WordPress. Generally, that’s not too big of a deal. I just click ‘update’ when I see that a plugin needs updating (pretty much every time I log in). However, out of date and incompatible plugins can and do cause problems on WordPress websites. Sometimes they just slow things down, other times they can cause major issues. It’s not something to worry about too much, but it’s worth taking into account. To keep safe, update your plugins regularly and only use plugins that you can see have had thousands of successful installations on other sites and are highly rated. If you really want a plugin that doesn’t meet those criteria, make sure it’s by a reputable developer that you trust. On Wix, you don’t have to worry about any of that. The ‘Wix’ equivalent of plugins are Apps. They’re all provided by Wix for exclusive use on Wix sites. That means that Wix ensure that everything is compatible, and take care of all the security updates. In theory at least, you should never run into any conflicts or security issues with Wix Apps. 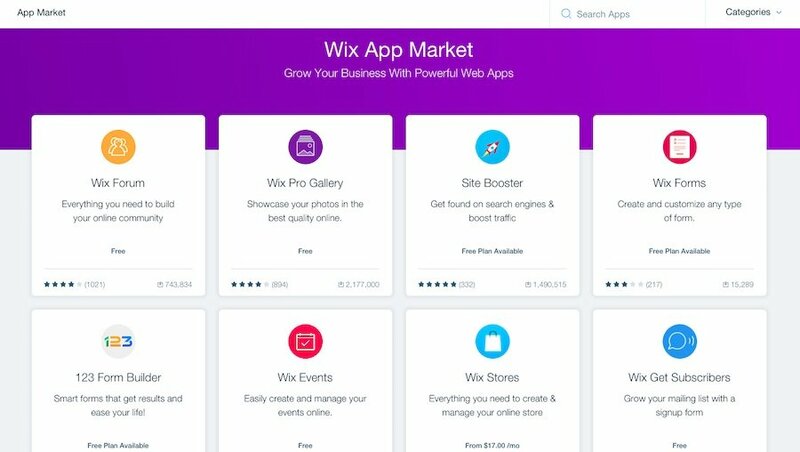 You can visit the Wix App Market to get an idea of the kind of apps that are available. The downside to that increased compatibility and security is that there are far less Wix apps to choose from than there are WordPress plugins. But we’ll talk more about that in a moment. There are a couple more issues that need to be addressed when it comes to general maintenance of Wix blogs and websites specifically. Those issues are speed and SEO. If you didn’t click on the ‘SEO’ info link earlier and you aren’t sure what it means, take a quick look at that post now. Historically, Wix websites have had a reputation for being slow and being bad for SEO. Both speed and SEO are really important for a successful blog or website. Thankfully, Wix seem to have addressed both of these issues. There are now plenty of Wix websites ranking highly in google searches. Wix also give you a handy SEO ‘wizard’ when you set up your site, so you can be sure that you’re taking all the right steps to help your site rank highly. Wix have also come on a long way when it comes to the speed of their sites. I would have to say that I still think that my Wix sites are a little slower than my WordPress sites, but the difference is minimal and improving all the time. So in summary, it’s easier to run a Wix website than a WordPress website. But there is a major advantage of WordPress over Wix, and that’s what we’re going to talk about next. Is Wix or WordPress is better for long-term and flexible blogs and websites? Finally, we need to consider which platform is going to offer you the most flexibility to grow your blog or website in the way you want to. The answer to this question is that WordPress will offer you much greater flexibility and more opportunity for your blog or website to evolve. And that’s something that’s really important to consider. This flexibility is largely due to the amount of different plugins that are available within WordPress – and new plugins are being developed and extended all the time. In time you may also start to learn code, and understand how to customize your WordPress website to achieve exactly what you want. Wix are starting to introduce coding options, but they’re nothing like those available in WordPress (although that could change in time). You may also find that some affiliate schemes and advertizers only work with WordPress sites – but again that’s something that’s evolving all the time and is likely to change as Wix continues to gain popularity. Which is the better option overall – Wix or WordPress? It depends on the type of blog or website that you want to create. Because of the flexibility and opportunities that come with a WordPress site, I would recommend going with WordPress if you’re creating a blog that you hope is going to be a long term money-making project. That’s despite the fact that Wix is quicker, easier, potentially slightly cheaper, and better from a security and maintenance point of view. If you want to get on with creating your blog or website using WordPress, head over to this post now. That said, I still think that Wix is an amazing platform and is the better option under certain circumstances. 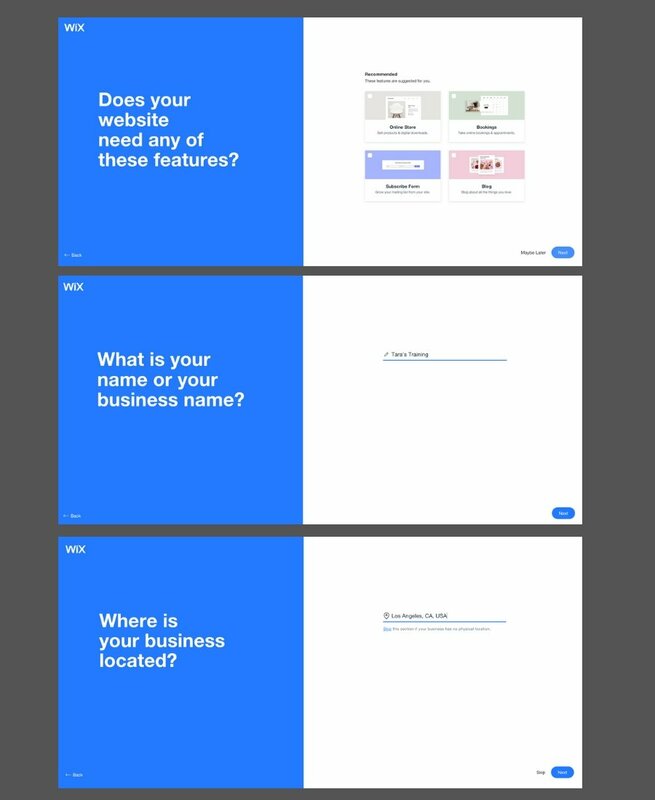 The first scenario where I think Wix is the more sensible choice, is if you’re setting up a simple small business website. In that case, you don’t need a ton of options for introducing new features on your site, and you probably aren’t too worried about affiliation or advertising. So in that case, why not go for a time-saving easier option where you still end up with a stunning and effective website? My advice in that case is to sign up for the Wix combo package and be done with it! 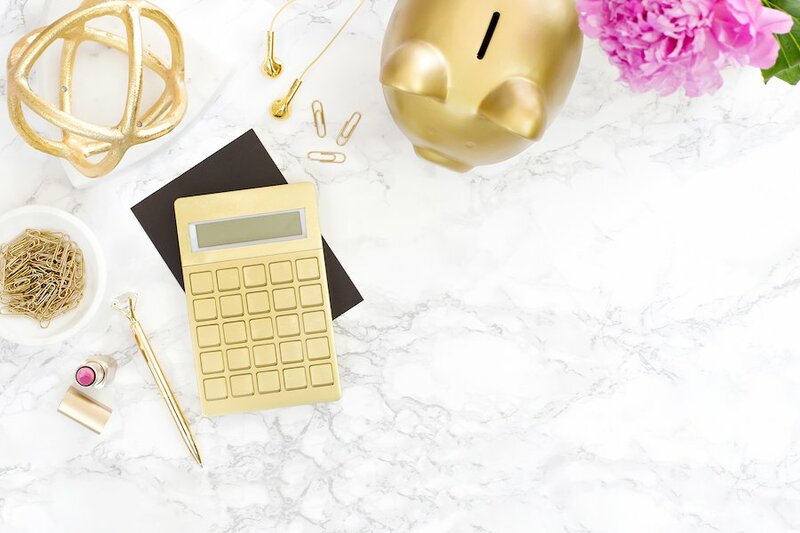 Also, if you want to create a personal blog or a hobby blog – or just experiment with a blog – and you’re not contemplating a serious blogging career or side hustle. Again, why not go for the easy option? It makes sense. And finally, what if you do want to make a serious go of blogging (in which case I’d usually recommend WordPress), but you just know that there’s no way you can find the time to create and learn how to run a WordPress website (and hiring someone to do it for you isn’t an option)? Well, then go for Wix! Although I think WordPress is a better option in this case, Wix is still a really good option – and much much better than no blog at all! And that friends, is that! You have two awesome platforms to choose from – now it’s down to you to decide which one is right for you. Both have their strengths and weaknesses, but both are amazing platforms on which you can create amazing blogs and websites. I hope this post has helped you to answer the question ‘should you use Wix for your blog?’! So what have you decided? Will you go for Wix or WordPress? Either way, I wish you all the luck in the world in creating your new blog or website – you can do this! P.S. 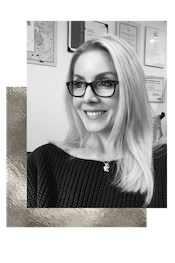 If you’d like me to create your WordPress or Wix website for you, just drop me a line – I’d love to help! Welcome to Slightly Sorted, where my mission is quite simply to help make life a little bit easier and a little bit better! You'll find tips, tricks, and articles on helping you to live your best life - from the big stuff, through to the little things that make all the difference. I hope you enjoy Slightly Sorted! Some links on slightlysorted.com are affiliate links – please see the disclosure tab on the bottom menu for full details, thank you!